Drug War Chronicle needs your support this month! The head of the Senate Judiciary Committee has scheduled a hearing on the federal response to medical marijuana in 20 states and legal marijuana in two states. He has asked Attorney General Holder to testify. The hearing will be September 10. 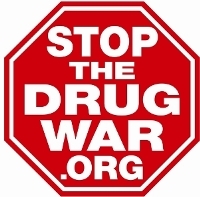 Now more than ever, StoptheDrugWar.org needs your financial support to continue to provide this crucial informational tool that builds and empowers the movement. We have a special new offer for those donating $50 or more, which this post provides some updated information about. Fallout continues from the Reuters revelation that the DEA is using NSA intelligence gathered under counter-terrorism laws. Now, senators and congressmen are asking Attorney General Holder to explain in a classified hearing next month. Another Mexican drug cartel myth has been demolished. Add "the cartels operate in 1,000 US cities" to the trash heap along with "the cartels are growing marijuana in the national forests." The family of a Los Angeles honor student gunned down by DEA agents in a Studio City parking garage has been awarded $3 million in a wrongful death suit. A serious bid to get a 2014 marijuana legalization initiative on the ballot is underway in Oregon. Dispensaries are on the march in various states, even as in some places, localities fight rear-guard efforts. And there's more medical marijuana news, too. Canadians are ready for marijuana law reform, a new poll finds. The only real question seems to be: legalization or decriminalization? Someone needs to tell the Conservative Party. Something unusual has happened. A police officer is going to prison for killing someone in the drug war. A New Orleans cop has pleaded guilty to manslaughter charges in the death of 20-year-old Wendell Anderson in a drug raid last year. A midnight traffic stop for a tinted windows violation in South Carolina turned into a drug bust when cops smelled weed, and one man is dead after fleeing and allegedly shooting at officers. Two Texas cops lose their jobs, a California jail guard gets busted at the playground, a Tennessee sheriff's lieutenant cops to slinging pain pills, and an Arizona Customs officer is headed for the pen.